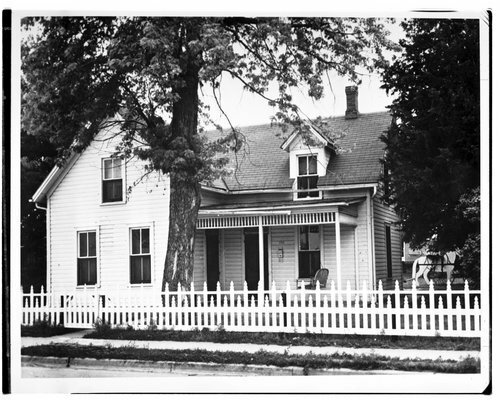 This black and white photograph shows Walter P. Chrysler's boyhood home in Ellis, Kansas. The two-story structure located at 10th and Washington Street was built in 1899 and occupied by the Chrysler family from 1899 to 1908. In 1954 the home opened as a museum.